Some people take great photographs of Oslo. now with this leg solidly planted here i should be able to.. originally uploaded by yrigoyen. In Oslo again. It’s colder than elsewhere. 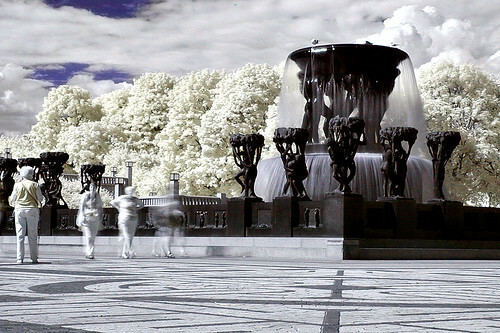 Frogner Park #2, originally uploaded by gisleh. I have come to Oslo – again (or here and here) – on business. According to Flickr there are 14,366 photos tagged Oslo in their system. This is one of my favourites and these are the most interesting. I need to find something unusual to snap here! After a shaky start to the summer, which saw big names Danny Baker and Jon Gaunt depart, the station turned its fortunes around, with a new line up including JoAnne Good taking the Breakfast show chair and Jono ColemanÂ’s return to the BBC London 94.9FM airwaves. See the no smoking signs across Italy. I just returned from a business trip to Italy to find that Italian bars, restaurants and airports are now smoke free. This is great news for those of us who don’t want to light up cigarettes as soon as we land in the country. But, honestly, Italy doesn’t smell the same any more and it’s kind of strange. Lovely, but strange.